← Eggs are in season! A warm day or 2 always make us anxious to get something planted. So, what can we plant when it’s still too cold for tomatoes, beans and other warmth loving plants? Some of the things we planted last week are lettuce, spinach, kale and sugar snap peas. 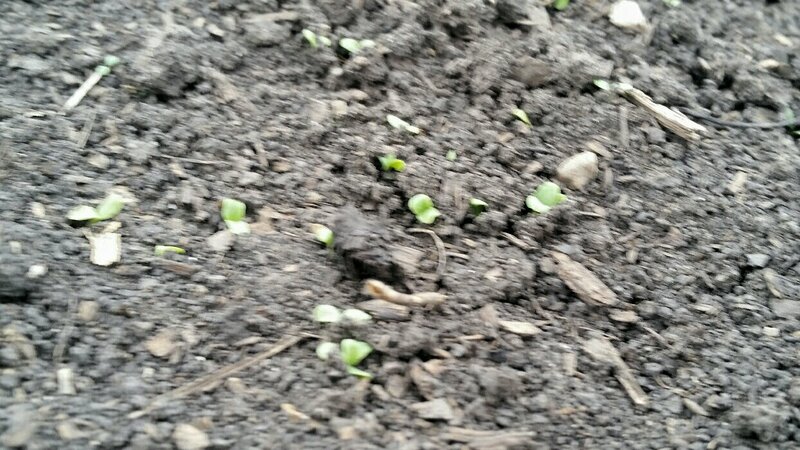 In the next week, we will plant beets and start putting out transplants of cabbage, broccoli and cauliflower. We will have those cool season transplants available in our stand next week. We start planting tomatoes, eggplant and peppers AFTER Mothers DAY – and sometimes later if it falls early in the month or the weather forecast is still cold. I know it’s tempting to plant earlier, but these plants will be not grow to their full potential if the temps overnight are below 50 degrees. We will have a nice variety of organic heirloom tomatoes, eggplant and peppers available at the appropriate planting time. Now is a great time to get your garden ready for the warm weather ahead. We have alpaca “beans” available to improve your soil. I can put them in our farmstand for you on request. We have cat litter buckets full for $6.00. This entry was posted in 2019 Harvest, Main Menu. Bookmark the permalink.